Special holidays can be a great time to get out of your normal math routine and let your kids work on something new and different. Logical reasoning is one of those important math areas that is usually lacking in math textbooks. But supplementing your curriculum with the occasional logic puzzle is a great way to weave it in! 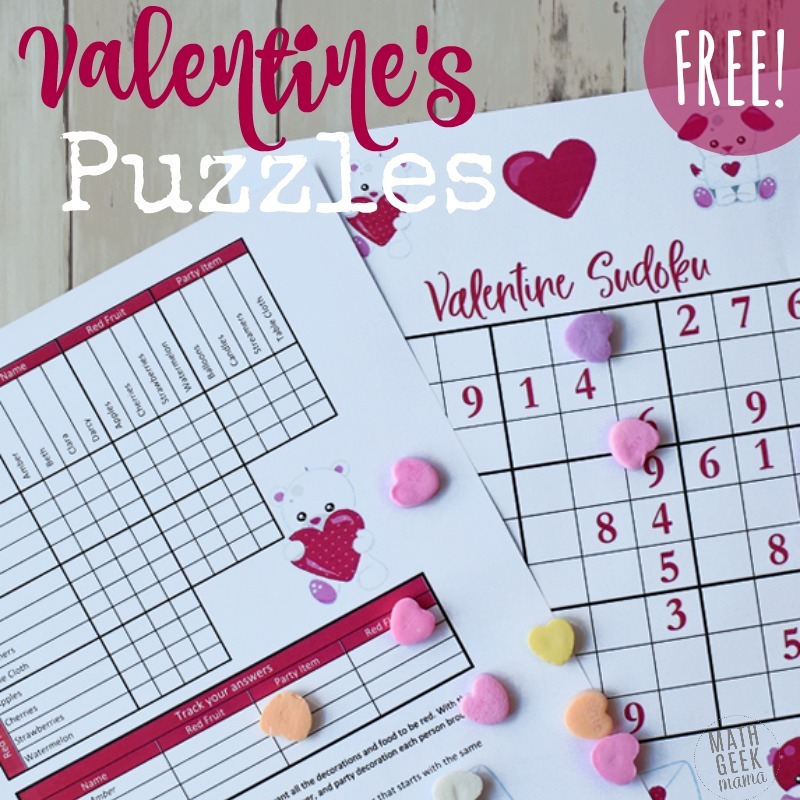 This set of Valentine’s Day Logic Puzzles is perfect for kids ages 9 and up. 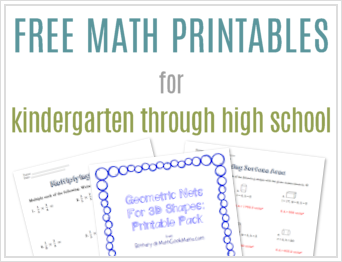 This free printable set includes 3 different puzzles, PLUS answer keys. The first puzzle is a grid logic puzzle. The goal of this puzzle is to use the clues to match the different groups together. 4 friends are planning a Valentine’s Day party and want all the decorations and food to be red. 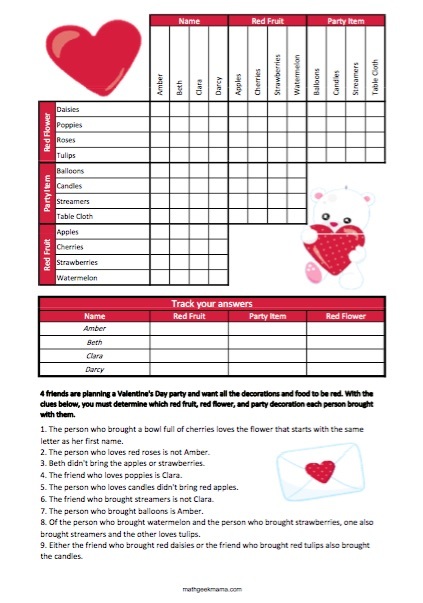 With the clues below, you must determine which red fruit, red flower, and party decoration each person brought with them. The grid is then used to mark correct or incorrect answers as you work through the clues. 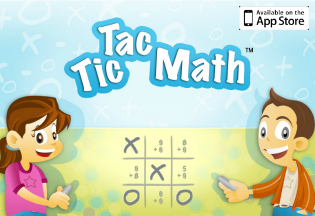 This helps kids develop and use their logical reasoning skills. Also included in this download are two sudoku puzzles. If you’re not familiar with sudoku puzzles, they consist of 9 3×3 squares. You then complete the puzzle by filling it in with the numbers 1-9. 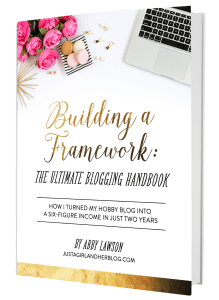 In each row, column and 3×3 square, you can only use the numbers 1-9 once. 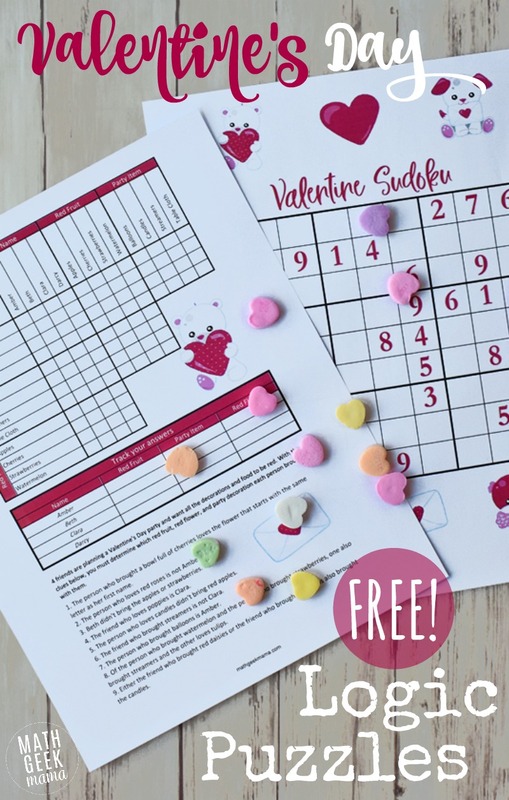 So I hope your kids enjoy this fun set of Valentine’s Day Logic Puzzles! If you’re looking for more logical reasoning resources, check out the links at the end of this post.